Alibaba is not only an e-commerce company, at least, not anymore. It has become a country of its own with the immensely strong economy. The strength of Alibaba’s economy can be imagined from the fact that on the event of Single’s Day Alibaba earned 120.7 billion RMB. It is equivalent to 17.8 billion USD and it is the record because no company has ever earned this much money in the single day in the history of mankind. This success is not new for Alibaba because every year Alibaba enjoys a high number of sales of Single’s Day. This company always tries to do something new in order to attract more customers and increase its revenue. Recently it revealed very interesting future plans about artificial intelligence (AI), augmented reality (AR), virtual reality (VR), and Robotics. All of these are very advanced fields and any development in this field requires heavy investment. Alibaba will employ all these technologies in all of its sectors including service sector, logistics, finance, and e-commerce. The main goal is to make the life smarter and easier. The first step of Alibaba in this regard is to use a service-oriented operating system, YunOS. This operating system is cloud-based OS and it is responsible for connecting a wide range of physical objects with each other through the internet. This operating system is the second biggest OS with 14% market share. 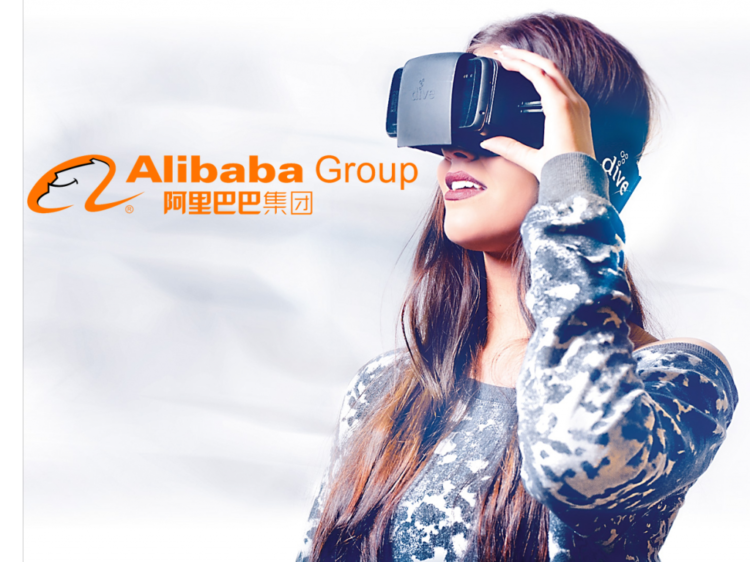 Following are highlights of Alibaba’s future plans regarding latest technologies. Artificial intelligence is the future of payments in Alibaba. This corporation is making serious efforts to introduce face recognition technology to verify and authenticate users of Alipay. When a user will log in his Alipay account, the system will ask for face recognition. The camera on the smart mobile or laptop will be used to get the live feed of person. The system will not only recognize the face but also verify its originality so that picture of the person can’t be used to log in the account. An affiliate of Alibaba, Ant Financial has already acquired the eye print technology from the USA. This technology scans eyeball to recognize the user. It indicates that face-scan technology is very feasible and can be implemented in near future. 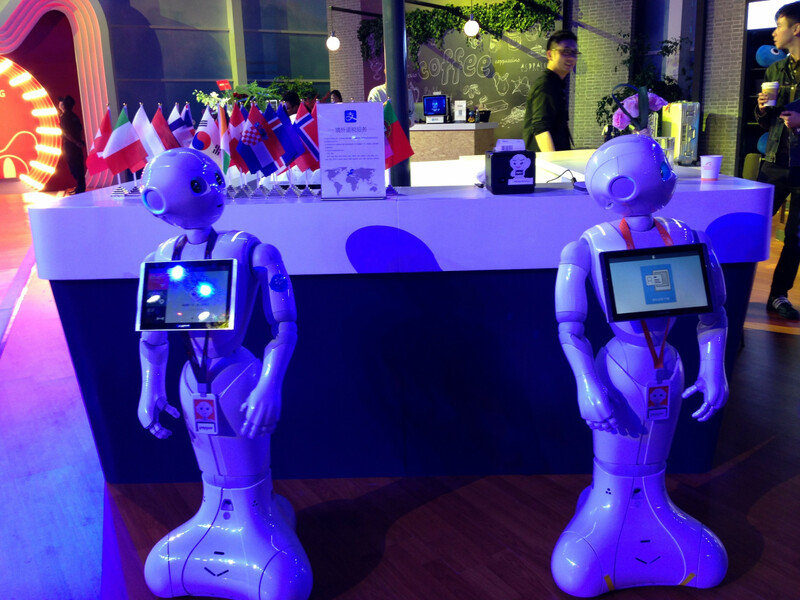 Alibaba is looking forward to partner with SoftBank Robotics Holdings to launch humanoids. These humanoids will be used in airports to facilitate air travelers in China. They will ask travelers for their ID cards and will print boarding passes for them. They will also tell them direction in a polite way. It will improve the experience of travelers in China’s airports. These Humanoids will also translate English into Chinese. The operating system in these robots will be YunOs. It means Alibaba will be responsible for the artificial intelligence of these robots and SoftBank Robotics Holdings will share the investment, human resources, and logistics. This joint venture will surely further increase the revenue of Alibaba to the certain level. It is an old saying that “there always remain the room for improvement”. Alibaba believes in it and wants to improve every aspect of its business including delivery time. Alibaba has a logistics affiliate, Cainiao, which is working with other logistic companies and warehouses to ensure the 24 hours delivery time of Alibaba in China. They are also aiming to achieve the goal of 72-hour delivery all over the world. It is a very difficult task and requires smart working of employees. Augmented reality technology will help workers in the warehouses to quickly locate and identify their desired object and then check the quality through AR technology. They are using Hololense AR headsets of Microsoft to apply this technology. All these future plans of Alibaba indicating that Alibaba is going to utilize novel technologies without waiting for any other to take initiative. This strategy of Alibaba is making it more successful than its competitors.